By creating stronger connections with your communication you’ll be able to give your relationship the opportunity to really thrive in a world where so many are barely surviving. In fact, poor communication is cited as the #1 reason couples break up and marriages end in divorce. But what if the most effective way to create powerful connections with our loved ones was easier than you thought? 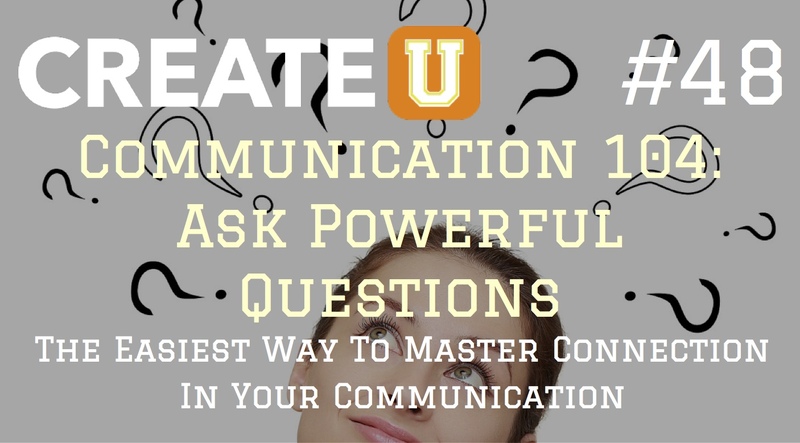 In the fourth and final installment of my better communication series, I’ll be sharing with you the easiest way to master connection in communication by asking powerful questions. 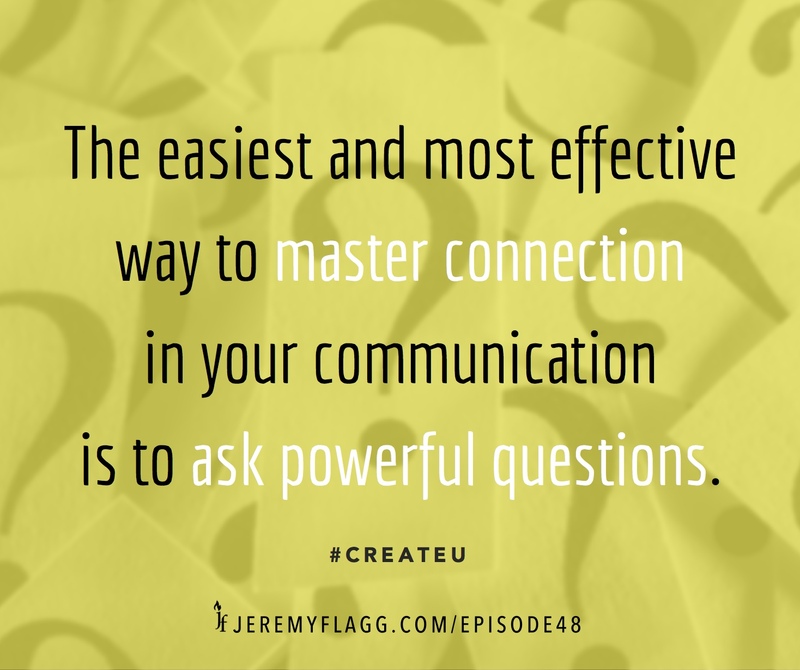 We’ll be talking about the 3 most common types of questions used in normal conversations and why there’s only one that you should be using if you want to increase your influence with others. So, if you’ve ever wondered why your conversations aren’t as impactful as you’d like or have struggled to understand why some conversations are great while others don’t seem to connect, then listen to today’s episode as I teach you how to ask powerful questions. Question: Are you ready for a challenge? Imagine that you’re having a conversation with your spouse/significant other or one of your closest friends and they’re telling you all about a problem they’re having with someone they work with who’s just not doing what they’re supposed to and, as a result, has caused your spouse/partner/friend to feel like they have to pick up their slack by taking on their coworker’s abandoned responsibilities. What powerful question could you ask them to open doors for your conversation to go to empowering places? You can leave a comment by clicking here.